Okay. Let me tell you why I did a top fifteen list instead of a top ten list of books I have read in 2011. I read a lot of books in that time and I couldn’t decide which books to put on the list. If you are confused about what some of these books are about and why I didn’t write a book review on it, here is your answer. I am a busy boy, and I have little time so I can’t write a book review on every book I have read. Anyway, here is my list of my top 15 favorite books I have read in 2011. The Medusa Plot is a cool book with a lot of action and adventure. For more details, visit the Medusa Plot book review. I loved this book because it involved Egyptian history and it had so much action. This book was awesome because it involved action, adventure, detectives, crimes and girls making men obey them. I liked this book because it involves magic creatures and humans. Some of the animals who are defending mankind go on a quest, a quest to save mankind, of course. Beyonders is a wicked book because it has action, adventure, magic, and of course, falling through a hippopotamus randomly into a crazy world without good guys when no one was looking. Floors is a wacky book with secret tunnels, spies, a miniature New York City and the heart of it all, the Whippet Hotel. For more details, visit the Floors book review. The Genius Files is a great book with dudes in bowler hats, a big vat of Spam, A guy falling out of the longest room ever and… an enormous ball of twine! The Mysterious Benedict Society involves really smart kids, morse code, LIVE spelled backwards and controlling children’s brains with the Whisperer. For more details, visit the Mysterious Benedict Society book review. This Egyptian Mythology book has adventure, action and fantasy! I especially like the mythology part. Monsters, gods,evil talking snakes. That is like, AWESOME! Wonderstruck is an amazing book with adventure. It tells a different story in different times in pictures and words. For more details visit the Wonderstruck book review. The Son of Neptune is a story of mythology, adventure, violence and action. It has monsters, flying jewels and a girl who has resurrected from the 1970s. This book has fantasy, creatures, boys who misbehave and someone hitting another person with a flaming poker and setting their house on fire. For more details, visit the Heroes of The Valley book review. This book has a king. This book also has a prince. The prince is good; the king is evil. Big army of creatures. Adventure, action and fantasy. You know what’s gonna happen. Bye bye, Mr. Evil King! 1. 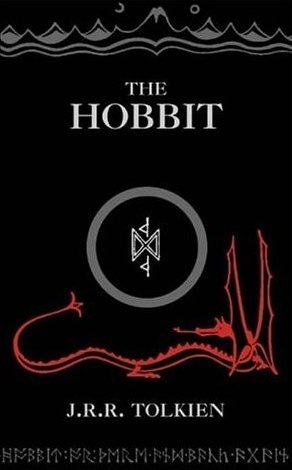 The Hobbit by J.R.R. Tolkien! Yes the Hobbit has breathtaking adventures and action. Also, it is so long that I couldn’t ask to add anything more! Now you know what my favorite books of 2011 were. So check back soon and keep reading! I am very impressed with your site and book reviews, Harrison! Keep up the good work! Thanks for the reviews. I can’t wait to pass them on to the kids..
Hey Harrison, I wish I could read as many books as you do; heck no, I wish I could read a fraction of the books you read. I enjoyed reading your reviews and I’ll be following your blog regularly. Keep it up.